Leon Markovitz is a serial entrepreneur and marketing professional. Born in Venezuela, he now lives in Israel where he is researching and marketing stablecoin projects. I really got into cryptocurrencies when I heard about Venezuela’s stablecoin attempt, the petro, late last year. The idea that the dictatorship was going to try using blockchain to further centralize its power was terrifying, and it’s pushed me to research solutions that could work in Venezuela’s near future. The petro was launched in March and, until recently, it was all but forgotten – with the project lead fired for having failed to raise $5 billion for a national cryptocurrency project. But late last month, President Nicolas Maduro announced on live TV the slashing of five zeros from the hyper-inflated currency, and announced a “Hail Mary” attempt to revive the petro by tethering the new bolivar’s value to it, calling a meeting with all banks to improvise something. The dictatorship in Venezuela is actually doing future generations a favor by creating mistrust in central authority, devaluing central-bank issued fiat, and educating the people about cryptocurrencies. The ground is ripe for a true revolution where power is wrested away from the government and entrusted to the blockchain. Venezuela does not deserve to continue down its current path. The country’s economy has contracted drastically in the past five years, with a rampant 1 million percent annual hyperinflation, and people dying in the streets from diseases like polio – yes, it reemerged during the socialist revolution – the highest homicide rate in the world, and the lowest salaries in the region. This is the result of 20 years of a failed socialist experiment printing currency like confetti, and a complicit ruling class that is silent, almost absent, to the clamors of the people. People are using bolivar bills as toilet paper because it’s cheaper, and the entire world woke to the fact that the socialist revolution of the twenty-first century is a scam. Yet the corrupt henchmen of a dead man are bent on restarting the scam with the petro. They want to ride the blockchain wave, but blockchain is incompatible with this communist fraud. This is a decentralized revolution, diametrically opposed to centralized control. The petro was born as a failure because it was conceived to maintain centralized powers in control, and no one in their right mind would use it unless someone put a gun to their face. The project is dead. But let’s talk about this radical experiment in a hypothetical scenario. Assuming the regime is gone tomorrow, could this experiment work? For generations, Venezuela was drunk on petrodollars. People became lazy and used to getting cheap dollars at preferential exchange rates to import 90 percent of goods consumed. The current disaster is the consequence of generations of Venezuelans spoiled by the easy revenues from the black gold. But that’s the past. Now imagine the day after in Venezuela, breaking free from the chains of communism, with the world ready to help. We would need at least a projected $80 billion to jump-start the economy, provide humanitarian aid, and create a radically different market. Since Venezuela’s production capacity has been decimated, getting a loan from the IMF won’t do, but re-branding the country as the blockchain nation could prove to be an opportunity hidden in chaos and despair — the light at the end of the tunnel. How can we successfully use a cryptocurrency as the national currency? Decentralize. Unlike the petro, Venezuela’s ideal stablecoin would need no collateral and certainly no central bank. The gold and petroleum reserves could serve as strategic insurance to buy back the currency if demand falls. The issuance of the stablecoin would expand and contract based on an “algorithmic central bank” responding to the economy’s health (e.g. nominal GDP targeting), and the shareholders, the citizens, would receive sustained revenues accruing from the interest from savings and bonds of a healthy economy. Most importantly, the wallets of public officials would be subject to public scrutiny. If the regime abandons power tomorrow, there is an opportunity for Venezuela’s government to be radical and embrace decentralized information networks. 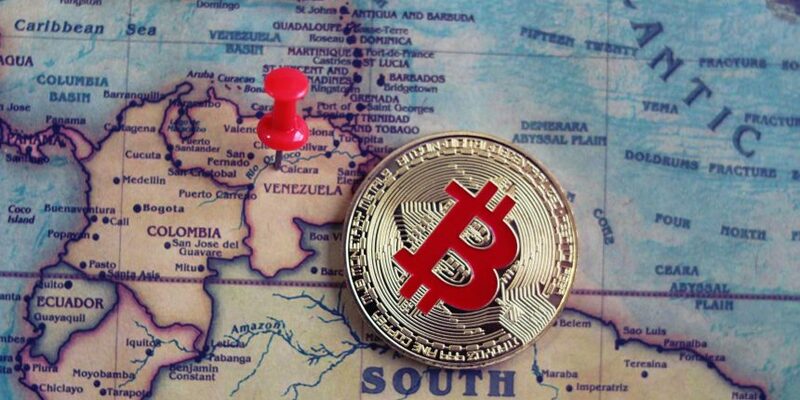 Venezuela can be the first country to separate state and finance, but if a similar attempt to the petro is implemented (a centralized stablecoin) then we would be back to square one and nothing would change. The day after the communist regime is gone, Venezuela will implore for decentralization of power to unite and empower the people, get investments flowing in, and bring transparency to governance and monetary policy. It can evolve from a nation known for its petroleum and gold, to one know for its digital gold and energy. The petro is a horrible idea, but people in Venezuela have woken to the power of blockchain. There is an ever-growing community of engineers and miners locally – and millions more looking from abroad. Very soon the chains of communism will break, and the crypto-space must be ready to defend the advocates of a decentralized national stablecoin when the day after comes. Venezuela is ready; are you?